As expected, the Attorney-General Chamber has thrown back to the Malaysian Anti-Corruption Commission (MACC) its investigation papers on SRC International and the RM2.6 billion donation. The AG has asked for further clarifications and that the MACC resubmits the two papers ASAP. If you think AG Apandi Ali is trying to be difficult here, you are absolutely right. Gani Patail, when he was AG, sent back to the cops and anti-graft boys so many of their papers so regularly that even the top brass of the PDRM and MACC were known to have cursed him (behind his back, as far as I know) for being difficult. But did the AG do it on purpose? No. Gani often reminded me that his job was to make sure that the MACC and the PDRM would go to court with a very strong case. Despite all that, it didn't always end well for the prosecution. We must remember that Gani never had to deal with a case involving a sitting Prime Minister. He served three PMs in his day. 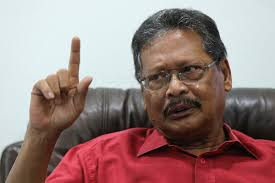 Apandi, on the other hand, is saddled with this responsibility from the the word go. We are talking about the country's numero uno here. Naturally, the AG would want the MACC to be meticulous. If he's being difficult with the MACC, it's because it is his job to to ensure that the MACC knows what it is doing. And do the people at the MACC know what they are doing? After reading the three-para statement which they sent out to the Press late Monday, I'm curious. For all good intents and purposes, it should have been a two-para statement. The third paragraph was rather odd. Why make reference to a report by a news portal that most Malaysians can't access to? because it has been banned by the government? Unless you wanted people to have access to that exact bit of information! It's Comms 101, ladies and gentlemen. And true enough. The third para is the one that is forming yet another negative perception against the Prime Minister in the minds of some people. Read AG and MACC Chief are playing musical chairs, by Malaysiakini 20 Jan.
p.s. I was told that some press statements issued by the MACC recently didn't go through the normal channel, ie the Corp Comms department. That's even more curious, if true. He was dealing with a case involving the PM, but was SACKED before he could press charge. Most important thing in this article is, why are you demonising MACC? Belasah agensi kerajaan just because you nak pertahankan Najib? 1MDB corporate comms is handled by PMO and Paul Stadlen. so what's the difference? Most people read Sarawak Report. That is why MACC issued that statement. PM and Salleh Keruak must be really stupid to think and say that most people don't read SR. Being a middleman is a difficult job. The musical chairs have been seen before. The A-G twice rejected Zeti's request to prosecute 1MDB. Yes, TWICE. It's worth noting that Zeti and BNM were 100% right in asking for the prosecution. BNM received the evidence of this in June 2015. They conducted their own investigation to verify the facts, and hence concluded that the declarations made by 1MDB to get the money were fraudulent under the ECA. Arul Kanda’s reaction was to tell BNM that the money has been spent. If I steal RM100 and the police catch me, can I avoid prosecution by saying “I have spent the money”? The ECA and BNM’s regulations are meaningless. Or are you going to say that Zeti does not understand her own financial laws? THE BNM LEGAL TEAM HAS DEEPER UNDERSTANDING THAN ANYONE IN THE AGC. There has to be a point where enough is enough. The system cannot be held to ransom by a few people's selfish interests. 30 million Malaysians are getting cheated so that one man and his corrupt macai can profit and keep power. I'm not so sure I'd drag TS Gani's name in. A) PRINCIPLE OF SURAT "KOW THIM": If any mamak lawyer writes privately to the A-G in order to get him to drop charges before or during trial, the ploy will succeed IF THIS EQUATION IS FULFILLED: N x E = 1,000 or greater (where "N" is Number of times said mamak has represented Umno and "E" is degree of Evil of said mamak, from 1-10). This applies even where the High Court and Court of Appeal have both rejected applications to strike out the suit. The end result is that cows get to live happily in luxury condos. Moo. One letter is all it takes. 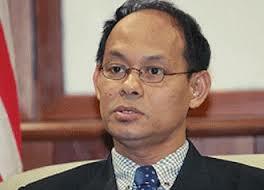 B) PRINCIPLE OF REWARDING DISHONESTY: Any gomen company is now allowed to lie to Bank Negara Malaysia. So let's say 1MDB (1 Mega-Deceitful-Botak) says he needs 1.83 billion ringgit to invest in a French company, but actually transfers it to a Bugis-Arab-Cina pyramid scheme. It is BNM's job to detect the fraud, even if the evidence of the fraud surfaces only later. "Hang tak tanya pun?" Hence, BNM should treat all MOF documents as absolute lies, right from the beginning. if BNM finds out too late, the Bugis-Arab-Cina pyramid scheme can give the middle finger to BNM and say "spend already lah, Auntie." C) PRINCIPLE OF SELECTIVE PEKAK-NESS: The common law rules of witness evidence were formed several hundred years before video recording was invented. However, only video recordings are now admissible. But such video recordings may be deemed "incomplete", so charges must be dropped, even though the complete video is all over YouTube and Facebook. If you subsequently hand in the complete video, you will hear the Simon & Garfunkel song "The Sound of Silence" from the AGC. D) PRINCIPLE OF ANY LAW WILL DO: Despite the clear wording of s.124 Penal Code, it can be stretched like rubber to charge people for, well, anything that might embarrass the gomen. The lodging of reports that are ACCEPTED & ACTED UPON by legal authorities is a "terrorist offence", just like blowing up bridges. Ahhhhh, may as well tambah SOS Cap MAH as well. If we're gonna abuse the law, let's go all the way. E) PRINCIPLE OF ONE COUNTRY, TWO LAWS: Feel free to cause any amount of racial and religious provocation you want, e.g. forcing people to remove their religious symbols from buildings. You won't be charged if you're on "our side". But we reserve the right to charge anyone on "their side" under the Sedition Act for serious offences like questioning why someone was arrested under the Sedition Act. Questioning why someone was arrested under the Sedition Act for questioning why someone was arrested under the Sedition Act is also seditious, thus causing a "chain reaction" that will lead to overflowing jails. Funny thing is, here video evidence is not required. F) PRINCIPLE OF TRIPLE JEOPARDY: Malaysia in the only country in the world where you can be charged, based on a SUBSEQUENT change in the law, with no new evidence and on the same facts, for an offence you have been acquitted for twice already. We are the only country in the world where the law can be given retrospective effect by a prosecuting body. MALAYSIA BOLEH!!!!!! G) A MATTER CAN BE DEEMED "SUB JUDICE", EVEN IF IT IS NOT IN COURT YET, OR UNDER ANY OTHER JUDICIAL PROCEEDING: The term "sub judice" has a special meaning in Malaysia - and only in Malaysia. 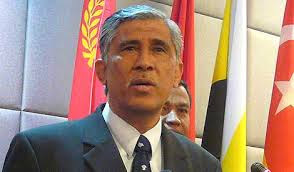 In the rest of the world, it means a matter is under active consideration by a court of law; in Malaysia it means that anyone with #something2hide can ponteng Parliament because his scandals are "sub judice" (they are not, actually) and hide under his bed, just like he avoided #nothing2hide. a) You get RM42 million in your personal account. b) The law presumes this to be corruption - you are a public servant. c) If you use the excuse it is "CSR", then the facts must support that. d) If the very next day, you transferred RM42 million to Yayasan Badak Air (a nature charity), then you may have a defence. e) But you did not, simply because not even in your wildest dreams did you think that this secret fund ever would be exposed. f) There is a transaction trail from the AmBank account. There is no way of altering history. Sorry. g) If it can be proved that even RM10,000 of the RM42 million was used for personal purposes, you are guilty of a crime. h) That is the MACC case, in a nutshell. i) The only way out now is to sabotage the MACC case illegally. Hope you are clear on this summary, Dato' Seri. The MACC is recommending prosecution and the new A-G is trying to summon the courage to dismiss an open & shut case. Why is it an open & shut case? Money kept in secretive ways is a red flag that it is for an improper corrupt purpose. The provisions of the MACC Act, 2009 make this clear. S.3 of the MACC Act defines civil servants like Najib as “officers of a public body” by virtue of them being “members of the administration” or “members of State Legislative Assembly” or “officers of Government of Malaysia or Government of a State”. They are all prohibited from receiving any form of gratification. Gratification has a long definition to include not just money but also donation, gift, loan, fee, office, post, dignity, employment, contracts, service, forbearance, protection. S.50 of the MACC Act clearly states that anyone of these officers of public body who gives or receives gratification is presumed to have done so corruptly. S.16 of the MACC Act provides that any of them who gives or receives corrupt gratification commits an offence punishable by 20 years’ imprisonment. So there's nothing to talk about. An officer of Ministry XYZ gets RM50,000 directly & secretly into his personal account from a company linked to the Ministry. He is presumed by law to have received this corruptly. Upon investigation, it is found that he used the money to buy a TV, settle debts, and other personal expenses. He is going to jail. It is it an open & shut case under the MACC Act. Yes, even if he calls settling his debts and buying a TV "CSR", he is still going to jail. That "CSR" label won't save him. We saw sackings, arrests, transfers galore last July as people tried to hide the stink. Now, the stink cannot be hidden, no matter if the A-G says NFA or not. "Why make reference to a report by a news portal that most Malaysians can't access to because it has been banned by the government?" Because it's not banned by the government. Apa benda yg ko merepek ni? Pengguna Internet sekarang tak bebal la. Guna je la Unblock Site kalau nak baca Sarawak Report. Sebab tu org ramai tak paham mengapa kerajaan PM Najib ni nak ban Sarawak Report. Kerja sia-sia. Tapi yg menariknya, adakah benar PM Najib meminta asylum daripada Turkey? Ni tuduhan yg melampau. Patut je herat SR ke makhkamah. Ringgit merudum sebab org tak yakin kat negara. Badut PM Najib pulak keluar statement tempat sasaran pengganas terrorist. Takkan makan dedak sampai tak de daya berfikir bila keluar statement. SR tu laporkan perkara yang tidak benar...dinafikan Macc sebagai tidak benar. Kepalsuan akan menjejaskan usaha mencari kebenaran. Justeru apakah disengajakan atau jahil. Kalau disengajakan bagi merosakkan usaha, apakah kerana SR sebenarnya telah di beli oleh Umngok? Kalau SR telah dibeli, apa lagi yang tinggal? Kosong! You are really something else with your analysis. so one sided, its unbelievable. Hope you will be buried with the rest of them. Ridiculous. "As expected, the Attorney-General Chamber has thrown back to the Malaysian Anti-Corruption Commission (MACC) its investigation papers on SRC International and the RM2.6 billion donation." So you were also expecting him to play for time desperately when he's asked to prosecute the PM, or you were basing it on him passing papers back to BNM before dismissing the case? Kah kah kah kah.....you aim your gun to AG or dato rocks? ?